Parts are the lifeblood of fleets in the bulk transportation industry. That’s why PSC operates the industry’s biggest network of parts locations dedicated to serving tank truck carriers, whether they’re independent small businesses or large national fleets. The PSC parts team is trained and committed to keep your fleet on the road and operating safely. Our associates are experts in tank-related parts and accessories, as well as common replacement items such as brakes and lights. Our facilities are fully stocked with high-quality products for all manufacturers and all configurations of tank trailers. These products can be accessed any day, any time, through our customized parts portal. The PSC parts Tank Pros are here for you. Call us today. As leading distributors for most major brands of tank trailer parts and components, the tank pros at PSC can provide parts and service contracts to regional and nationwide carriers. 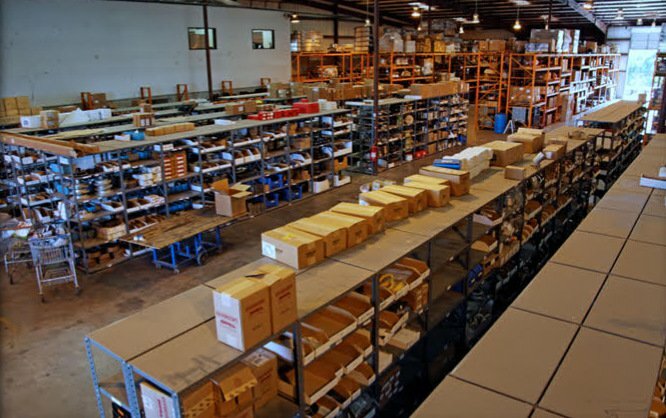 Our parts departments represent virtually every product category needed to keep your tank trailers and tank trucks rolling. We also offer complete truck rigging packages for loading and unloading product, and customizable trailer and tank truck bulk unloading accessories and solutions including the engineered Polar-Pac. Plus, PSC, service departments are capable of performing any job your tank trailer or tank truck may need. Click here to access our online parts store. If you would like to set up an account and place orders with Polar Service Centers, please contact onlineorders@polarsvc.com. If you already have an account with PSC, please contact onlineorders@polarsvc.com and provide your PSC account number to set up an account.